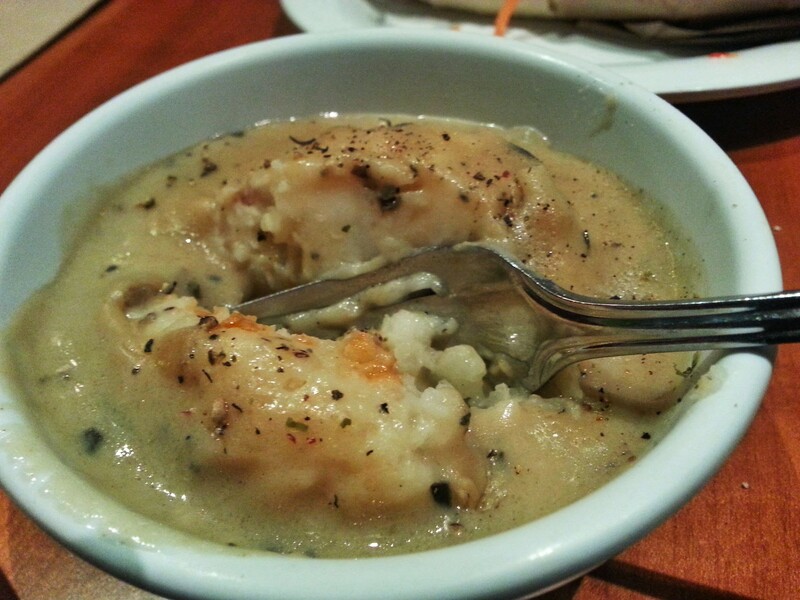 Seriously… do I seriously have to go to a vegan restaurant to get a perfect little bowl of mashed potatoes and gravy? I guess so. The Veggie Grill in the UCI Center in Irvine has the most perfect little bowl of mashed potatoes and gravy. Even better, there’s perfectly cooked cauliflower nestled in the potatoes like kids enjoying a pool in the summer. The best part is the mashed potatoes are already in a bowl so I don’t have to worry about any of the gravy escaping. Posted in Dinner, irvine, Potatoes, sides, Southern California, Vegan, Vegetables, VegetarianTagged cauliflower, dinner, gravy, irvine, Lunch, mashed potatoes, pepper, potatoes, Restaurant, UCI center, Vegan, Vegetarian, veggiegrill, warmBookmark the permalink.